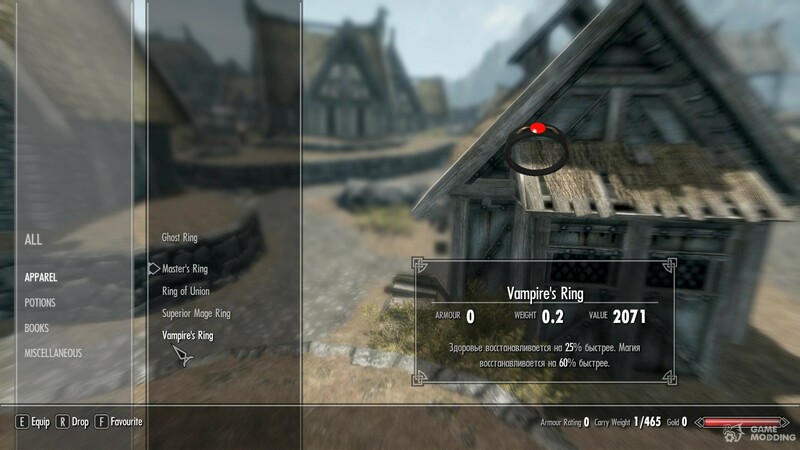 Adds seven high quality, unique rings to the game. They can be found next to the blacksmith's workbench in Riverwood. Each ring has a unique enchantment that will be sure to help you in tough times.